2 Power source options Press the switch to the left(I), the washer use its built-in battery power; Press the switch to the right(II), the washer use power from car or other 12V power source via a 3m cigar lighter power cord. 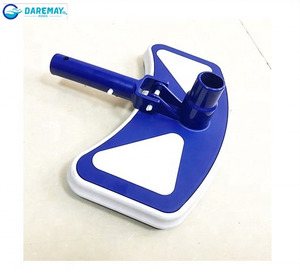 Multi-functional Spray Gun of the Portable car wash machine Adjustable and replaceable nozzle head, adjust the nozzle head to get different water pressure; Or replace the nozzle head with shower head or brush head to meet your different cleaning needs. Wide Application Our factory established in 1999 as a manufacture, at the first 7 years, we mainly provide OEM service for some big companies such as Sony, TCL, Konka, Philips etc on molding service and plastic injection. 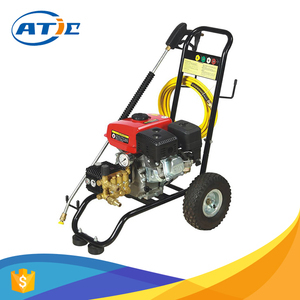 With wide range of product category ,such as portable pressure washer series, ultrasonic beer foam maker series ,outdoor camping shower series, UV sterilizer series etc, more and more partners come to us with their brilliance product idea ,we work together, making a product idea to a product ready for the cooperation. Our mission Dedicating to be your reliable business Partner, GoodFaith provides one-stop solution for your purchase needs. Our spiritual criterion "Quality is the life of our factory, and integrity is the soul of it. Tianjin Tongjie Sci & Tech Development Co., Ltd.
Henan Hao Zhou Import And Export Trade Co., Ltd.
Jiangyin Zhenghong Garment Accessories Co., Ltd.
Qingdao Main-Link Cleaning Equipment Co., Ltd.
Ultrasonic cleaning machine Jinan Bakr Ultrasonic Technology Co., Ltd. is a professional ultrasonic cleaning equipment R & D manufacturing, products encompass all kinds of automobile repair and maintenance specifications for ultrasonic cleaning machine; widely used in engine parts, oil dump and rostra , Pressurized, automated all kinds of auto parts and cleaning, also used in large bus companies, long-distance transport Our products were not only sold to different regions in China but also enjoy high sales all over the world such as Japan, Korea, Thailand,Malaysia,Indonesia,Turkey, Syria, India, Pakistan,Brazil ,USA, European countries. Bakr has become a specialized, prestigious manufacturer in ultrasonic cleaners. 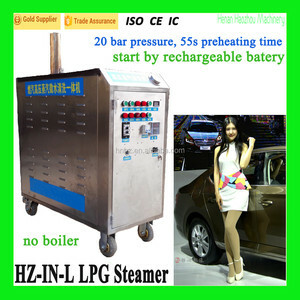 Electric Portable Washer machine, outdoor camping car accessories wash machine ,car care and cleaning equipment Description 1 . 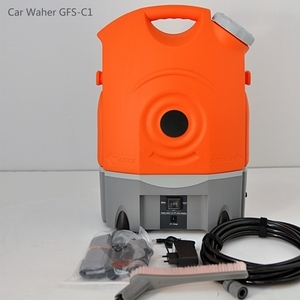 Made of pure material (PE) having durable construction 2.Store fresh water with 17L (4 gallon) of water tank 3.Removable water tank 4.Cordless power supply from rechargeable battery 5.Wheels and belt for easy carrying 6.Water flow which mode is up to 10,000 times/min high frequency vibration 7.Mesh accessories pocket 8.Easy in operation and save in use 9.Perfect for camping, boating, fishing and do all the ideal cleaning Products photo for reference Welcome to Our Factory! 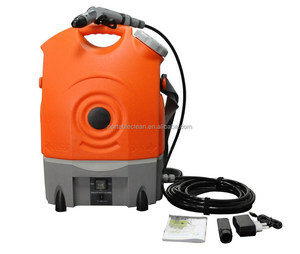 Our company is specialized in portable pressure washer seriels with below features: 1.Energy saving---save water ,electricity and time 2.Portable---can be used whenever and wherever 3.Multifunctional---for your car ,camping ,garden ,pets ,BBQ andother outdoor washer 4.Simplicity and safety in use 5.Small and light to carrying Package information N.
Kunshan JST International Trading Co., Ltd.
Q:Can I get some sample for check quality9 A:Yes, single sample will charge sample fee. Q:Can we sign NDA protect our information9 A:Sure we can sign NDA. even we do not sign NDA with you, we also will not show any your design and related information to others without your prior written consent. 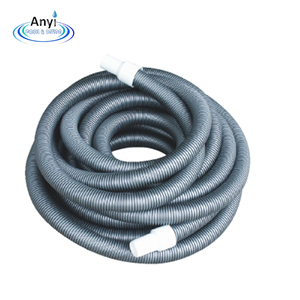 8.accessories: 6m black PVC soft water pipe, connecting the device and water gun, nozzle head, brush and shower head option for water gun. ,LTD We are leading manufacturer specialized in portable pressure car washer and other homeware &outdoor products with 18 years of research & development production experience. Kindly you can visit our website for more detailed information,and if there is a chance to seek some business idea. 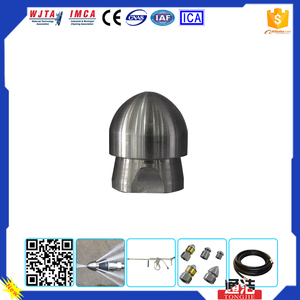 Qingdao Jiahao Machinery Co., Ltd.
Alibaba.com offers 544 industrial cleaning equipment accessories products. About 1% of these are machining. A wide variety of industrial cleaning equipment accessories options are available to you, such as plastic, pu. You can also choose from free samples, paid samples. There are 551 industrial cleaning equipment accessories suppliers, mainly located in Asia. 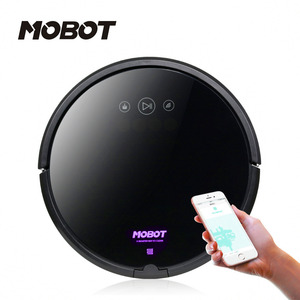 The top supplying countries are China (Mainland), Pakistan, and India, which supply 96%, 2%, and 1% of industrial cleaning equipment accessories respectively. Industrial cleaning equipment accessories products are most popular in North America, Domestic Market, and Southeast Asia. You can ensure product safety by selecting from certified suppliers, including 235 with ISO9001, 92 with Other, and 41 with ISO13485 certification.